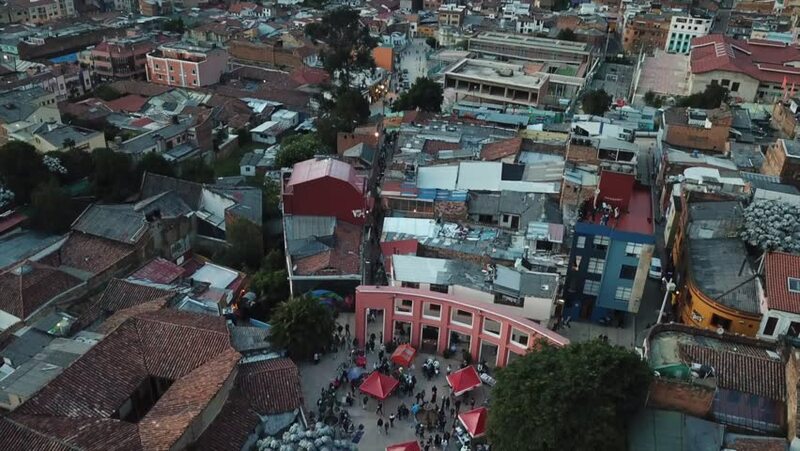 Drone view of public market in South America. Bogota, Colombia. 4k00:12SHANGHAI, CHINA - SEPTEMBER 15 2017: sunny day shanghai city old block rooftop panorama 4k circa september 15 2017 shanghai, china. 4k00:10Aerial view of central Zagreb, with Dolac market. 4k00:20Aerial view from drone above traffic below looking down in a modern city.